THE HARVEST After a particularly cold, dry and severe winter, the spring frosts of 7 to 11 April left a lasting mark in Champagne. Summer was immediately scorching, the hottest for 53 years. Anything that had miraculously escaped the frost and hail was subjected to intense heat until harvest. The crop was perfectly ripe and healthy, like those of 1947, 1959 and 1976. 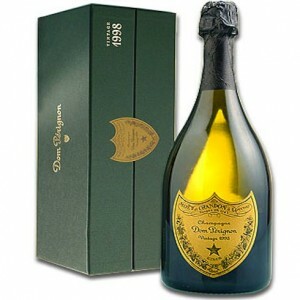 On the nose: The bouquet spirals through sweet, bright floral notes and the lively minerality so typical of Dom Pérignon, then notes of candied fruit, plants, the incredible freshness of camphor leaf and finally the dark hints of spices and liquorice root. On the palate: The wine is currently still physical. It is compelling, tactile and vibrant rather than aromatic. The rhythm and tempo are more dominant than the melody. At first mild and delicate, then strongly, confidently mineral, persistent, precise, with a refined bitterness, and an iodine, saline tang.